While payday and title loans are still legal, Houston has taken steps in the right direction for improved consumer protection.1 To continue this fight, residents of Houston must continue to reach out to regulators and other legal associations for help. The annual cost of living in Houston is approximately 7 percent above the national average, which might cause residents to seek new ways to make ends meet.10 However, turning to payday loans and title loans in Houston, TX would not be a wise decision. A payday loan is a small amount of money that is typically lent at a high rate of interest. When a lender provides a payday loan, the agreement is that it will be repaid when the borrower receives their next paycheck. However, many borrowers find it difficult to repay the loan plus interest in such a short time frame. While the state of Texas might have their hands tied in how to handle the wild west of payday loans, Houston is taking this fight into their own hands. In 2014, to better protect residents, Houston created local ordinances for payday loans by requiring borrowers demonstrate an ability to repay their loans.7 This means borrowers will need to show their monthly income before taking out a payday loan in Houston. Whether you’ve experienced the negative effects of payday loans in Houston or not, you might have heard about them. It’s disheartening, but by learning about the predatory ways of payday lenders in Houston, you can find ways around this “unhelpful” financial resource. You can read more about Crystal and other Houston residents in Texas Faith for Fair Lending’s document. Search the “News” section of Google for “Payday Loans in Houston”. What do you find? Pages upon pages of news stories about the predatory nature of payday loans. Each news story showcases battles between lawmakers and lenders, residents losing money, and other interesting topics, such as arrests. From scammers to faith communities helping consumers, there’s a lot to be said about payday loans in Houston, TX. A title loan is like a payday loan, as it is used for a small amount of money for a short period of time. Unlike a payday loan, though, a title loan requires the title to your vehicle as collateral. On top of your vehicle’s title, you will also be required to pay interest on the loan over a period of 30-days. If you can’t pay back the loan, you could lose your vehicle. It’s easy to say you’d never be tempted to put your car at risk when things are going well, but it’s much tougher when you’re in a financial emergency and don’t see yourself as having any other options. That was the situation one Houston resident found herself in. Now finally out of debt with a new job and a new car, she warns everyone she can to never use title or payday lenders. You can read more about Tiffany Richardson here. Each news article shows how Houston residents are struggling with title loans—where’s the relief? If you are experiencing a threatening title or payday lender in Houston, or if the lender is not following the ordinances of the city, it is important to speak out. 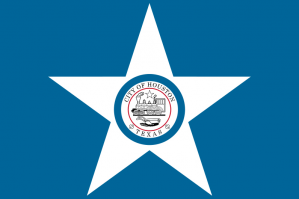 By filing a complaint with the Houston Permitting Center, you can help lawmakers create tighter restrictions on title and payday loans in Houston. To file a complaint, call the Houston Permitting Center at (832) 394-8803, or by emailing Houstonpermithelp@Houstontx.gov. To file a complaint against a payday or title lender in Houston, TX, first ensure the lender is within the city limits. If the company is within the city of Houston, you can submit a completed complaint form along with copies of any related loan documents, fliers, disclosures, and forms to the Administration & Regulatory Affairs (ARA). Once your complaint is received, the Houston Permitting Center will review the forms to ensure the application and required documentation is complete. If the information is correct, it will be submitted to the City Attorney’s office for further investigation and prosecution when applicable. With so many representatives and senators speaking out against payday and title loans in Houston (and all over Texas), why hasn’t the entire state jumped on board with regulations? Further help can be found through outside legal groups. One foundation is the Community Loan Center of Greater Houston (CLCGH), which is an alternative option to the predatory lenders. The CLCGH offers alternative means for finding financial stability that won’t keep you locked in an endless debt trap caused by payday loans and title loans in Houston. For legal assistance, Texas Appleseed is also available to help. Texas Appleseed works with residents of Houston, as well as other cities across Texas, to fight against predatory lending. If you need help with payday loans or title loans in Houston, Texas Appleseed can work with you to fight predatory lending.